This blazer is giving us sultry vibes right now. 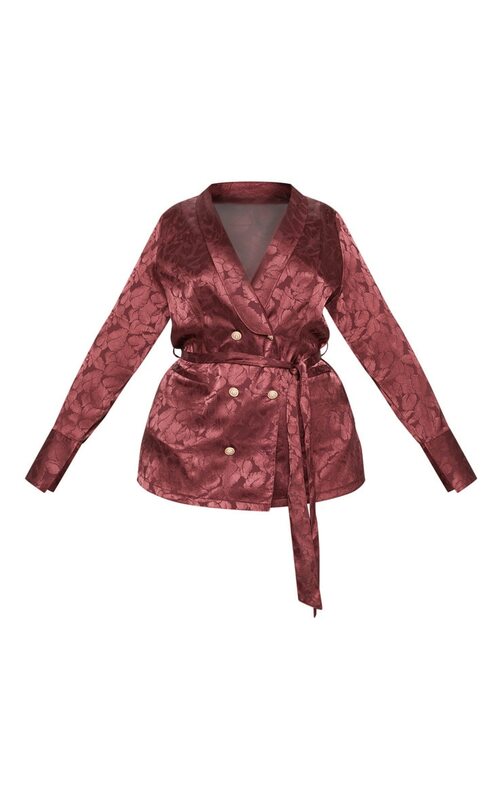 Featuring a burgundy jacquard pattern, satin fabric and a longline fit. We love this styled with the matching wide leg pants and statement earrings for a boss girl look.